Here are 5 apps for Rooted android device. Rooting of the Android phones has been made efficient and easier by the installation of the various useful apps. These useful apps have effectively replaced the use of dreadful ADB commands by the users. This has also led to the lowering of the various barriers by the effective use of the GUI tools by the developers. There are 5 most essential apps for Rooted android mobile phone which help in the overall control and rooting of the devices. After rooting your android device, this should be a first app you need to install on your device. Titanium Backup android app is the most powerful backup tool on Android. With this app anyone can backup, restore, freeze your apps, data and Market links. This includes all protected apps & system apps, plus external data on your SD card. It is not only saves the other apps in the application system but also helps in the customization of ROMs. It provides 100% security back up to all the important data and applications of the devices. It also helps in the proper storage of the necessary information and enable the users to regain the deleted items or information. It also provides necessary protection to the gaming device enabling the users to play games online safely and effectively in their mobile phones. ROM toolbox is one of the best effective apps for rooted Android mobile phones which is highly used in compiling all the other rooted apps into one package. It also serves the different benefitial purposes including skillful management of the custom ROMS, app and auto start manager, root explorer, font installer, theme chooser and lots more. You can use this app to install custom ROMs & themes. 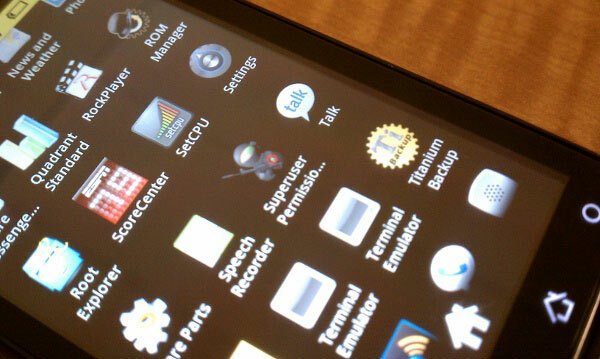 AOKP, CyanogenMod and other popular ROMs included. You can buy Rom Toolbox pro to unlock all the features of this app. System tuner is must have apps for rooted users, It monitor and record all activities, backup and restore any applications, extended task killer, CPU SD and memory controls, logcat reader, terminal emulator, widgets and notifications. System tuner is one of the essential comprehensive form of rooted app which is highly used in the protection of the battery life and battery speed. It also handles efficiently the overclocking or under clocking of CPU and controls the fluctuations of the processor voltages. It is also used in controlling those processors and apps which badly effects the battery conditions of the devices. This is also equipped with system tweaker for making the SD card smoother and faster along with other operations. Call Master is an advanced call, SMS and MMS blocker for root users with unique privacy features. Call master is one of those excellent apps which carefully handle all the call related information of the Android phone users. It provides proper protection and storage of the exchanged SMS, mms,and other call related private features. It provides special protection to the private SMS, calls and other contents of the users. It is also highly required in the maintenance and filtration of the restricted SMS and calls of the users.It has got the special facility which prevents the lighting up of the screens and playing of the notification sound. Stick Mount is one of the best app which automatically mount and dismount USB sticks on various devices like the Galaxy Nexus, Nexus 7 and Nexus 10. Stick mount is highly used in case the Android devices are not having sufficient memory space or capacity to store the different necessary information for a long time. This kind of situation normally happens in the absence of a SD card or a slot. In order to tackle this particular situation efficiently, an USB can be used with the help of this special app for the proper storage of the necessary stuffs. It involves the automatic mounts and dismounts of the USB which are linked with the concerned device with the help of a US2GO cable. It highly enables the users of the Android phones to use any file explorer for the purposes of copying, moving or accessing of the various online contents. Have you rooted your android phone? Which apps for Rooted android phone you use daily? Share with us via comments below.